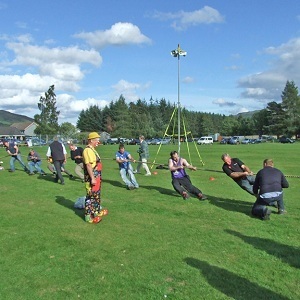 Highland Perthshire has a fantastic selection of events whenever you visit. From the all year round programmes of Pitlochry Festival Theatre to niche annual arts events, a great series of Highland Games throughout the summer, regular music venues or celebrations over Christmas and New Year, there's always something going on. During October, for example, we are blessed with riches when it comes to events: Perthshire Amber, the Enchanted Forest and Pitlochry Festival Theatre all take place over this period, while the amazing colours of Autumn provide a stunning backdrop to a few days stay in Highland Perthshire. To find an event that's up your street, browse through the options on this page. As we keep on saying - it's all here!